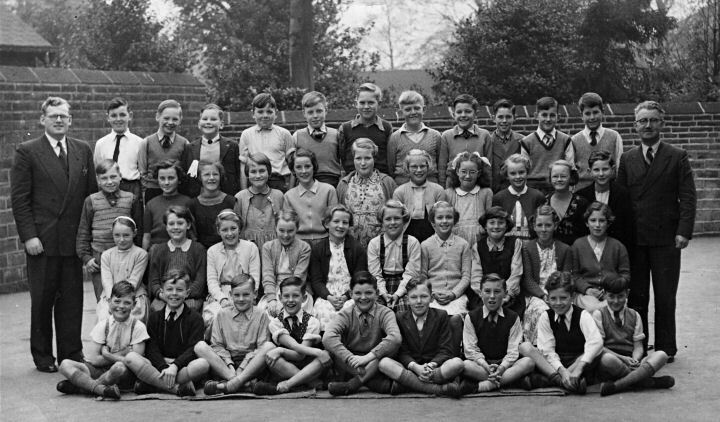 Mr Bell is shown on the left of the photo, Headmaster Mr Laycock is on the right. Bottom row 4th from the right John ? his Dad was shop manager of the Co-op in the 60's called Jack. Smith is ringing a bell but can't be sure.